FOXBOROUGH, Mass. 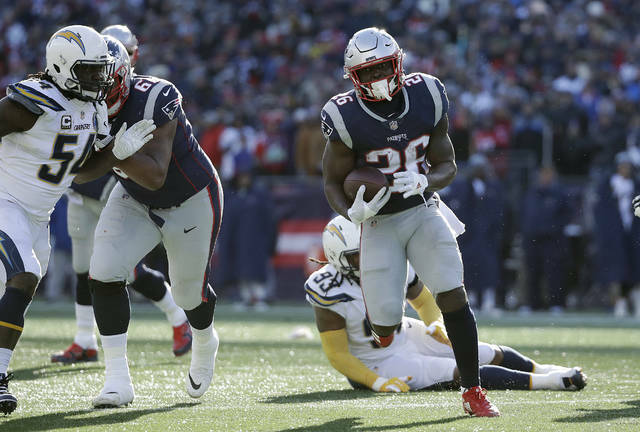 (AP) — This much is clear about the Patriots’ latest run to the AFC championship game: it’s come with a lot of introspection and reinvention on offense. The result has been a team that has rediscovered its ability to run the football and wear teams down. 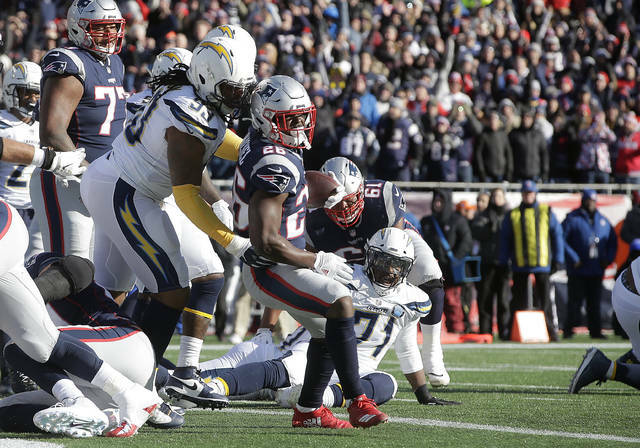 New England did it successfully in Sunday’s 41-28 divisional-round win over the Los Angeles Chargers . It will be needed again for New England to upend a youth-led Kansas City Chiefs team in the AFC title game. Michel’s backfield mates were equally active. Rex Burkhead added a 6-yard TD run and James White’s 15 catches tied Darren Sproles for the most receptions in a single game in NFL playoff history. They had a season-best four rushing touchdowns. 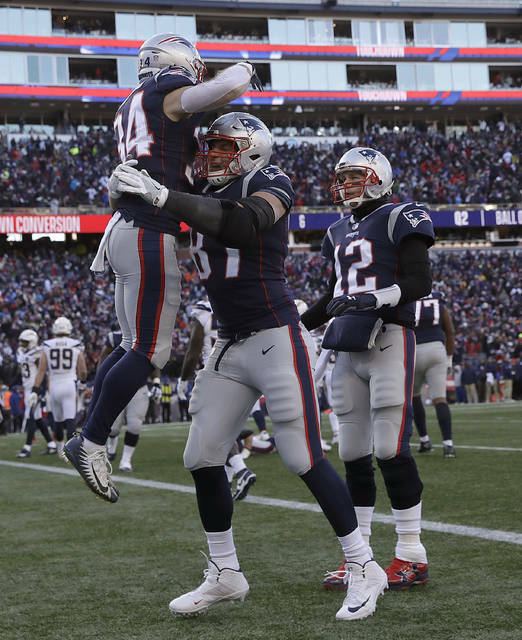 The 155 rushing yards also marked the Patriots’ fifth time with 130 or more yards since their bye week. New England has not lost a game this season when rushing for 100 or more yards as a team. While Brady threw for 340 yards and a touchdown in that game, he hasn’t fared well on the road against the Chiefs. He has just a 1-2 record with three touchdown passes and six interceptions in three games at Arrowhead Stadium. This will be Brady’s first playoff game in Kansas City.